Paper is always an affordable route, but fabric felt most appropriate here, so these (cute & easy-to-make!) DIY Neck Tie Garlands ended up incorporating a bit of both. 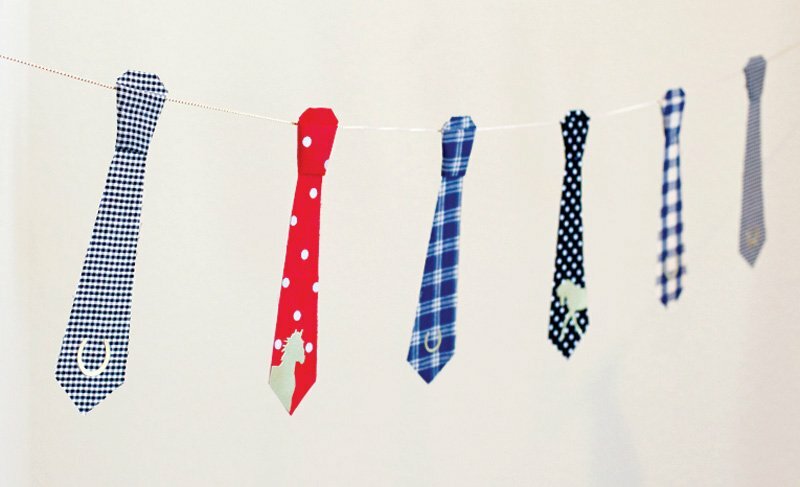 Read on to learn how to make them + download the printable tie template! P.S. To give this garland a little more obvious “Derby flair” , I also added little Gold Derby Silhouette Decals to the finished ties. These are essentially silhouette style horse themed stickers that I spray painted gold. Check out the tutorial here. 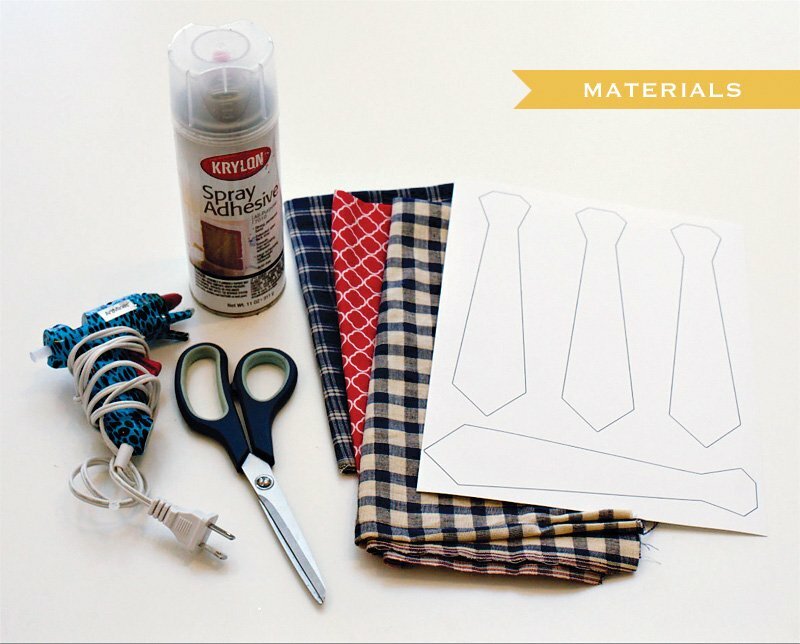 Both of these projects are super versatile too – just change up the style of fabric or stickers accents to make your tie garland work for your theme! 1. 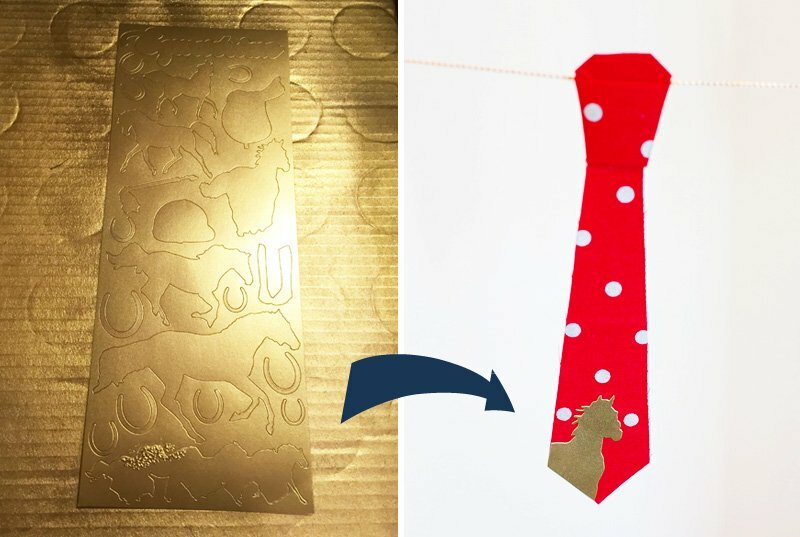 Download and print the Tie Template. 2. 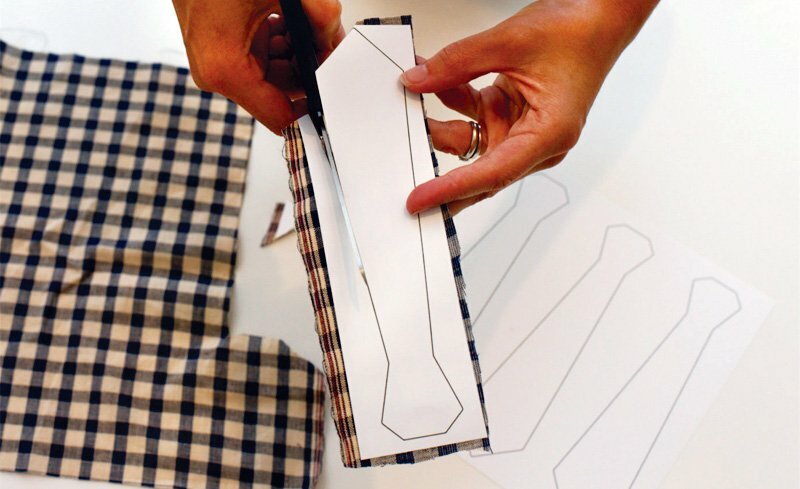 Cut the tie template sheet apart, so that you end up with a rectangular strip of paper for each tie outline, then cut similar sizes pieces of fabric to match. 3. 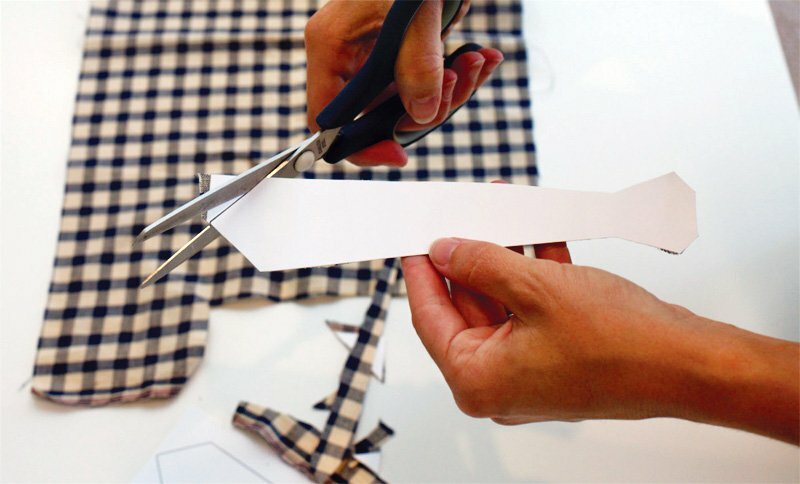 Use spray adhesive to attach the back side of your fabric to the back of the paper tie strips. 4. Cut the tie shape out, using the template lines on the paper as a guide. My garland is single-sided, but If you want yours to be double-sided, you can repeat the spray adhesive + cutting out process to cover the back. 5. 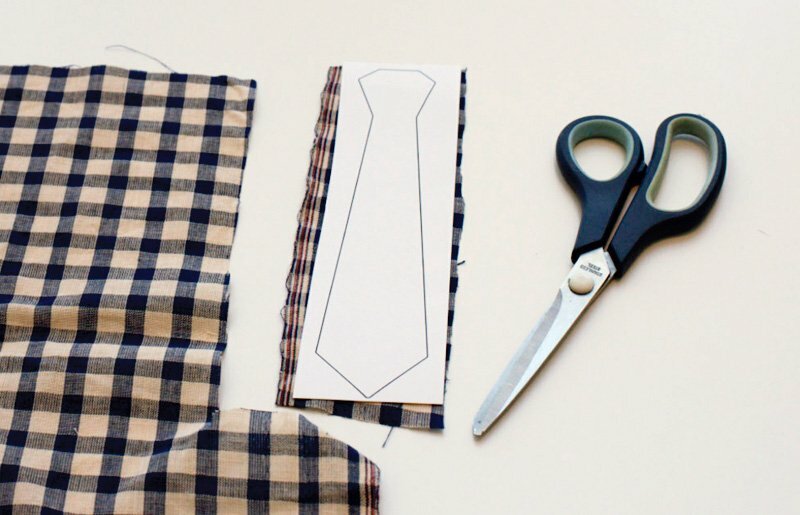 To add dimension to the top of the tie, cut a small square of fabric in the same pattern, and fold it into a rectangular strip, as shown above. (I folded mine into thirds here.) 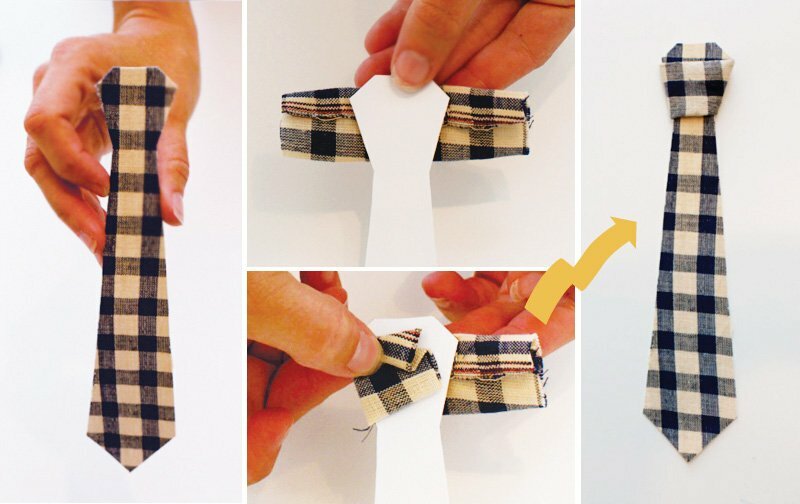 Wrap the folded fabric strip around the top portion of the tie, trim as necessary, and secure in the back with hot glue. No need to be perfect here! You can just eyeball this step and adjust the fabric strips as necessary. 6. For the finishing touch, add DIY Gold Derby Decals to play up the Kentucky Derby® theme! 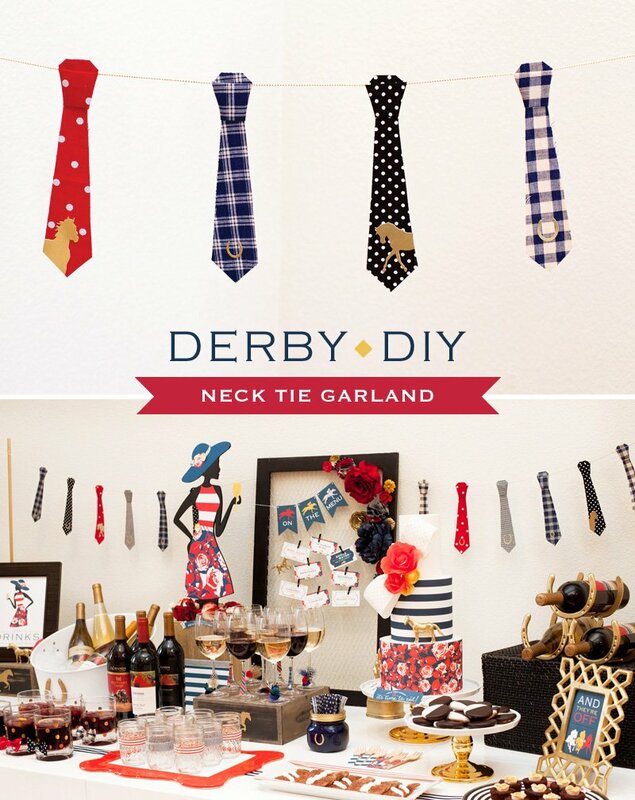 Find lots more “Derby Style” party inspiration and tons of FREE PRINTABLES on the full party post right here! P.S. Click here to find the 14 Hands Kentucky Derby® Red Blend or your other favorite 14 Hands wines at a store near you.